State Senator Guy Reschenthaler avenged a loss last fall to state Rep. Rick Saccone, handily winning his party's nomination in the newly drawn 14th Congressional District by a margin of over 10 percent. "We have all won tonight," Reschenthaler told supporters at a VFW hall in Peters Township. "You were with me from the beginning to the end, and I'm going to be with you well into the future." Reschenthaler declared his victory around 10:30 p.m. But he said the days ahead would not be easy. Referring to the fact that his rival had lost a special election just two months ago in a very similar district, Reschenthaler said, "If we've learned one thing March 13, it's that there's no such thing as a safe Republican seat anymore." Saccone conceded at his election night party at the Jacktown Ride & Hunt Club in Irwin around 10:30 p.m. He indicated he would support Reschenthaler in the general election. The state lawmakers were running in a newly formed district that includes all of Fayette, Greene and Washington counties as well as the western portion of Westmoreland County. Now the 14th, the district replaced the former 18th District following court-ordered redistricting. Reschenthaler appeared to have secured the nomination largely on the strength of Westmoreland County, where he beat Saccone by over 15 percentage points, according to unofficial results. He also outpolled Saccone in Washington, the second-largest in the district. The primary came just two months after Saccone’s stunning loss in a special election in the former 18th District, which had long been a Republican stronghold. The March race attracted national media attention and more than $10 million from national GOP groups as Saccone struggled to keep the seat in Republican hands. Reschenthaler supporters on hand at his election party said they thought winning in November was a key consideration for GOP voters. "Rick is a nice guy, but I think people were looking for someone who can win, and Guy brings you that," said Sam DeMarco, a Republican member of Allegheny County Council. Chris Borick, a pollster at Muhlenberg University, agrees that while Saccone had name recognition going into the race that Reschenthaler lacked, "[Saccone] also does have a bit of the stigma of a losing candidate. and that tends to have some residual effect." Saccone, 60, embraced the more localized nature of his primary against Reschenthaler, where he said he could exert more control over his message. In the weeks leading up to Tuesday’s election, the four-term representative had been notably more active on social media, posting a number of videos from the campaign trail. It was part of an effort, he told WESA in April, to re-introduce himself to voters. With the national media gone, he said he could highlight various aspects of his background, including nearly two decades serving in the U.S. Air Force and a year working on a power plant in North Korea. 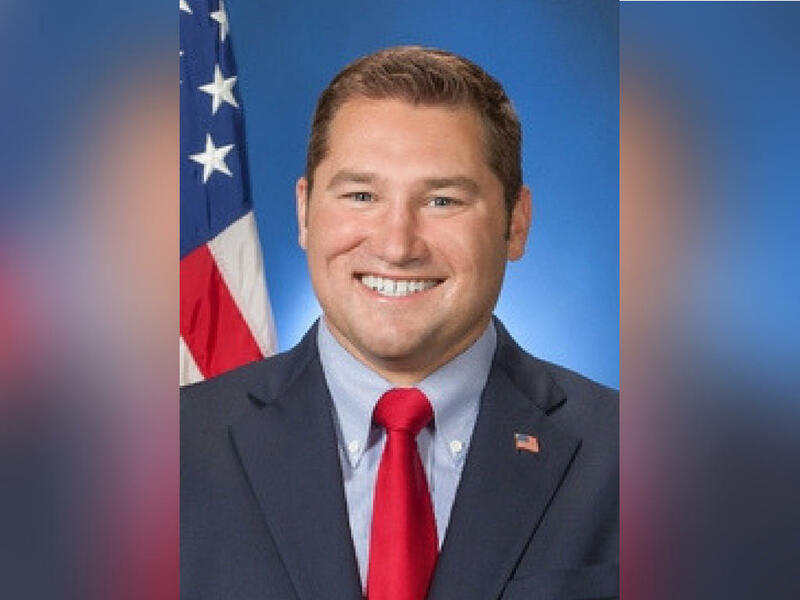 Reschenthaler, however, chose to focus on Saccone’s bruising defeat in March. A former prosecutor in the U.S. Navy, he faulted Saccone for losing despite receiving ample support from national Republicans, including a campaign rally with President Trump. Following that “debacle,” the 35-year-old said he offered a stronger voice for the GOP. In an April statement, his campaign also pointed to a report in The Guardian newspaper that suggested Saccone had overstated his role by calling himself a diplomat during his power-plant work in North Korea. Saccone countered that his interactions with everyday North Koreans built up potentially important goodwill. Reschenthaler also faced challenges. In April, the left-leaning Media Matters highlighted a foreword Reschenthaler wrote for a 2012 book by Carl Higbie, a staffer for the pro-Trump America First Policies and America First Action. In the book, Higbie attacks people of color, LGBTQ individuals, and survivors of Hurricane Katrina, among others. In response, Reschenthaler disavowed the book and told the Pittsburgh Post-Gazette he hadn’t read it before writing the foreword. Reschenthaler also came under fire when elections records revealed that in April a new political group, funded with $200,000 from former U.S. Rep Tim Murphy, had spent over $100,000 to advertise on Reschenthaler’s behalf. Murphy’s resignation last fall, amid reports of an affair, prompted the special election in March. Despite the drama, little separated Reschenthaler and Saccone when it came to policy. Both tend to favor a smaller role for government while also opposing abortion and favoring stronger gun rights. Reschenthaler, however, said he would support a ban on “bumpstocks,” devices that enable semi-automatic rifles to fire faster. Reschenthaler appears set to face Democrat Bibiana Boerio in November. The Westmoreland County native, a former executive with Ford Motor Company and previously an interim head of Seton Hill Univesrity, was leading her three Democratic rivals with roughly half the vote. Reschenthaler supporters said that Boerio was the rival they took most seriously, due to her resume and Westmoreland County roots. But as the GOP nominee, Reschenthaler stands a good chance of winning in the general election. The 14th favors Republicans even more heavily than the former 18th did. 90.5 WESA reporter Chris Potter on the dispute between state Rep. Rick Saccone and former Congressman Tim Murphy. State Representative Rick Saccone is trading harsh words with former Congressman Tim Murphy, who Saccone sought to replace earlier this year. And the dispute stems from Murphy's support of a rival, state Senator Guy Reschenthaler, in a Congressional primary next week. 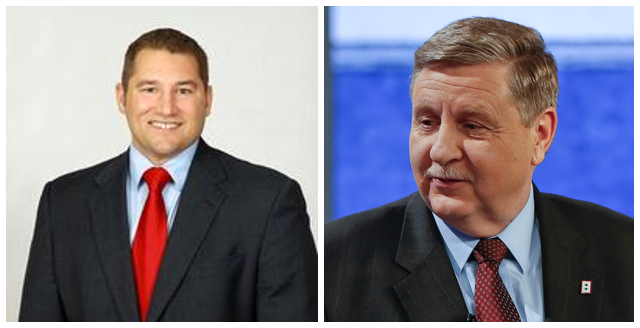 90.5 WESA's explores what could be a competitive Republican primary between Rick Saccone, fresh off his defeat in the special election in Pennsylvania's 18th Congressional District, and Guy Reschenthaler, who says Republicans want a new choice. State Rep. Rick Saccone (R - Elizabeth) sits at his campaign headquarters in Southpointe with one other staffer.